On Tuesday the Senate confirmed the first openly gay black man to become a high-level federal judge with an astounding 98-0 vote, Al-Jazeera reports. Darrin Gayles has been appointed to the U.S. District Court for the Southern District of Florida after serving three years as a judge in the Florida Circuit Court. The George Washington University School of Law graduate also served on the Miami-Dade County Court from 2004–2011. 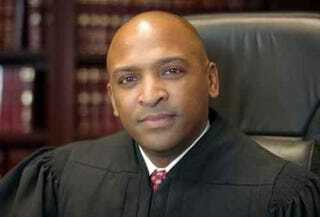 Gayles wasn’t the first openly gay black man President Obama had nominated for this particular bench. In 2013 he named Florida Circuit Judge Williams L. Thomas as his pick, but that nomination came to a grinding halt after opposition from Sen. Marco Rubio (R-Fla.), who cited some of Thomas’ sentencing decisions in a murder and drunk-driving case as cause for concern, the news site notes. According to the Miami Herald, Rubio’s opposition of Thomas, whom he first supported, prompted cries of racism and homophobia. Gayles, by comparison, who was nominated in February, ended up being successfully confirmed. And the Senate did not stop there, also sending through another Obama pick, Staci Yandle, an openly gay black woman, to sit on a federal district court in Illinois. Yandle is the second openly lesbian judge to be confirmed to a federal bench. Read more at Al-Jazeera and the Miami Herald.